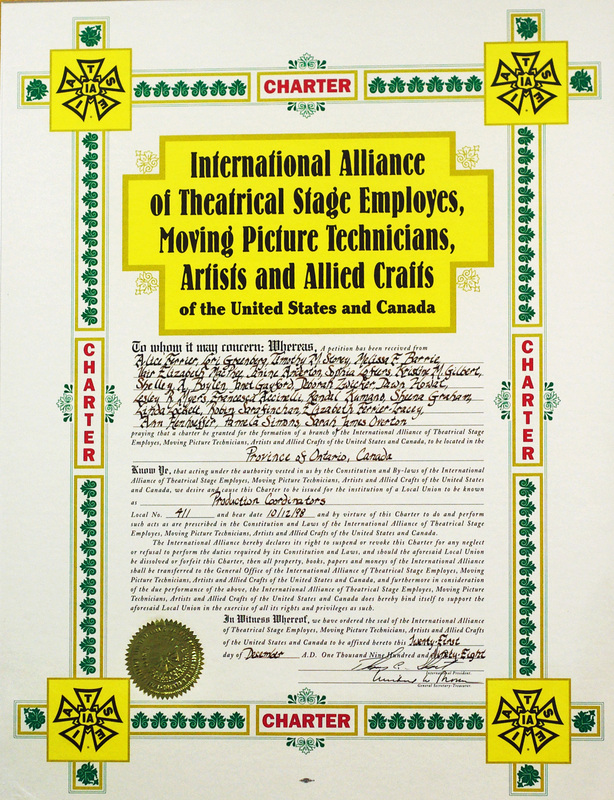 The International Alliance of Theatrical Stage Employees, Moving Picture Technicians, Artists and Allied Crafts of the United States, Its Territories and Canada was founded in 1893 (1898 in Canada) and presently has over 110,000 members ,16,000 of whom are in Canada; making it the largest trade union in the entertainment industry. I.A.T.S.E. is composed of regional unions called Locals, organized into 14 Districts. Districts 1 through 10 and 14 are in the United Sates and districts 11 and 12 are in Canada (there is no district 13). District 11 represents eastern Canada which includes, Ontario, Quebec, New Brunswick, Nova Scotia, Prince Edward Island, Newfoundland and Labrador. District 12 represents western Canada which includes Manitoba, Saskatchewan, Alberta and British Columbia. Although the International’s head office, which is located in New York, oversees the activities of all the regional Locals, each Local functions independently. Each Local has its own governing body (executive board) which represent the interests of the International union but are able to organize regular meetings and be responsible to their members. Each Local has its own Constitution and By-laws and Collective Agreements. These documents set specific procedures, rates, and conditions of work within the jurisdiction of each Local. (The jurisdiction of Local 411 is the Province of Ontario). The I.A.T.S.E. represents workers in a number of crafts, with the majority employed in motion picture and television production. IATSE members are integral to the production, distribution and exhibition of motion pictures and television. 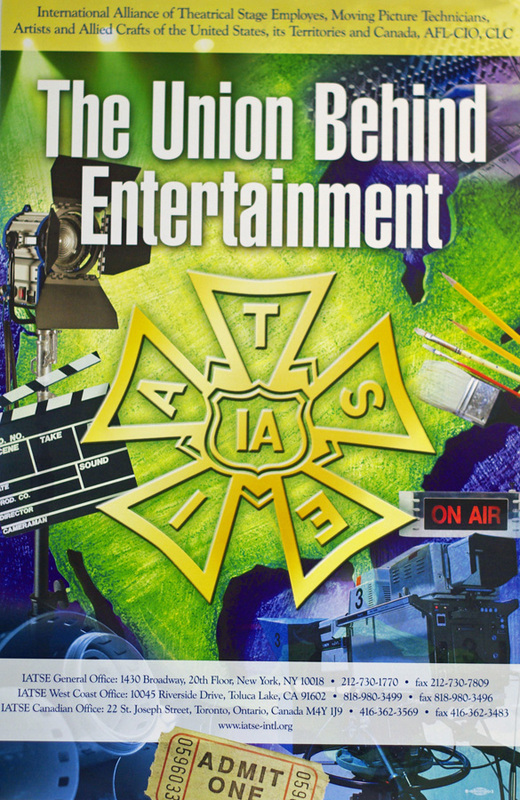 IATSE is the Union behind Entertainment. Why should I join I.A.T.S.E Local 411? Local 411 has been established and exists by virtue of a Charter issued in October 1998 by the International office and pursuant to the Constitution of the I.AT.S.E. IATSE Local 411 is a democratic union dedicated to the principles of trade unionism. As an IATSE Local 411 member you have a say in your rights at work, the decisions your union makes, and the industry you work in. The primary job of Local 411 is to negotiate the contracts under which our members work and to protect their safety and well being from employer exploitation and to provide a means of receiving rsp and health and welfare contributions, despite working for a variety of employers. Any person applying for membership in the Local must be of legal age and be a citizen of Canada or be a Permanent Resident, eligible to work in Canada. If you are not a Canadian Citizen, a photocopy of your Landed Immigrant papers must be included with your application. Applicants shall be of good moral character and reputation and shall not be a member of an organization of dual character or of an organization, the interests of which are adverse to those of the Local or the Alliance, or its equivalent. In addition applicants shall comply with all the terms and conditions of the Constitution and Bylaws of the Local and of the Alliance regarding their membership, including application, initiation, and financial obligation. If you would like more information about joining IATSE Local 411, please click on the ‘BECOME A MEMBER’ tab in the website menu. Will the union call me to offer me work? Members are encouraged to actively seek employment. It is your responsibility to find work on a 411 signatory production. Local 411 is not a hiring hall. We are comprised of freelance workers represented by Collective Agreements that provide standards for wages, benefits and working conditions. Members do not have a seniority status in terms of employment preferences. Jobs are obtained based on experience and merit. Prospective employers interview members and hire them based on their merit and experience. However, the Local supports members by maintaining an availability list, which is available to prospective employers and members alike. It is your responsibility to ensure the Local has your current availability listed. What if I want to work on a non-union show? Any member wanting to work in category on non-union productions, including working for free must first get “dispensation” (permission) from the Union. What if I want to work in a category not covered by the Local? Members wishing to work in a job category not covered by any union (e.g., Assistant to a Producer) should contact the Local so that the Business Agent has the opportunity to negotiate fringes. What should I do if I have a problem at work? For instance, I was asked to perform work outside of the job description, or I saw a non-member doing a union job. Any member who has concerns about union violations should contact the Local. Any disputes with employers concerning wages, hours, working conditions, or the interpretation of the Collective Agreements concerning these and other matters should be reported to the Business Agent as soon as possible. Disputes must be reported in writing in a timely fashion. Any offence must be documented appropriately so that the Business Agent can respond accordingly. A proper grievance procedure is a vehicle that provides members with an opportunity to challenge or counter unjust actions by the employer. It is like having a system of justice within the workplace. What type of benefits does IATSE Local 411 offer to its members? IATSE 411 has a health benefits plan and we are a member of the national Canadian Entertainment Industry Retirement Plan (CEIRP). 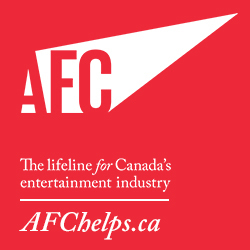 The Director’s Guild of Canada and Entertainment Partners Canada are also members of the group retirement savings plan. Local 411 places a high priority on delivering quality, cost effective benefit plans to our members. Why do members pay dues? IATSE Local 411 is a non- profit organization. Our mandate is to better the working terms and conditions of our members. Everyone who belongs to the Local contributes a small portion of their income in return for the benefit of the group as a whole. Part of every member’s dues that IATSE Local 411 collects are remitted to the International Office (referred to as per capita tax) to fund its various activities on behalf of all the locals, including negotiating collective bargaining agreements and organizing new productions. The balance of your dues help pay for negotiating contracts at the local level, salaries of support staff, legal costs, professional services, advocacy, the processing of grievances and the handling of arbitrations as well as the daily operations of the Local office and overall union administration. Your dues enable the Local to work on your behalf. There are two types of dues that are collected from each member; Quarterly Dues (also known as annual dues, base dues or flat dues) and Working Dues. Quarterly dues are collected from each member whether they are working under a 411 collective agreement or not. Working dues are only collected from members when they are working under a 411 collective agreement. Each member is sent an invoice at the beginning of each quarter for quarterly dues. It is the responsibility of each member to make sure they pay that invoice within the allotted amount of time. Working dues however, are automatically deducted from each member’s pay cheque when they are working under a 411 collective agreement. What if I don’t pay my dues? Members who do not pay dues within 30 days after the dues become payable will receive a letter informing them that they are not in good standing. Members who are not in good standing are not eligible to attend meetings, vote, join committees or hold office. Members who do not pay dues after four months of the original due date (that is two quarters in arrears), shall be notified by mail that they are suspended. Once suspended, that member’s name is removed from the availability lists and will not be permitted to take work. To be reinstated, the member must pay all outstanding dues as well as a reinstatement fee. After nine months of the original due date (that is three quarters in arrears), members shall be notified by mail that they have been expelled from the Local. What if I want to withdraw from the union? If a member decides to not continue to work in a category represented by the Local, the member can request in writing to be given Honourable Withdrawal. Members wishing to take Honourable Withdrawal from the Local must be a member in good standing (dues must be up-to-date) at the time of their request. Members holding Honourable Withdrawal cards may be allowed to rejoin in the future at the option of the Local. However, if re-admitted the member is responsible for payment of all dues or assessments accrued during the period of withdrawal to a maximum of eight quarters (two years). A bargaining unit is a group of employees that perform similar work and usually share a work area. Generally employees in a bargaining unit have similar interests and concerns when it comes to working conditions – like pay, hours of work and conditions of the workplace. A bargaining unit may also be a group of similar workers that work in different places in different shops, but do the same work. A “Collective Bargaining Agreement” (sometimes called a CBA or contract) is an agreement that is gained through negotiation between the employer (Producers) and the labour union (the I.A.T.S.E.). The collective agreement sets forth the terms of employment for the employees who are members of that labor union. It governs the relationship between the employer and the members of the union. Provisions such as wages, benefits, working hours and conditions of work are guaranteed when working under a collective agreement. A collective agreement is binding and ensures both the employees and employers adhere to the established conditions of the collective agreement. Collective Agreements are binding for a specific period of time, or term agreed upon by both parties. As the expiration date of the set term approaches, both parties have an opportunity to negotiate a new agreement. Each of the three caucuses has a standard agreement. The Producer negotiating body is the Canadian Media Production Association (C.M.P.A. ), under which the Craftservice and Honeywagon Agreement is made. The Production Coordinators Agreement is promulgated, which means the contract is not collectively bargained. Some productions may request a variance from the standard agreements. The Business Agent with the sanction of the Executive Board addresses each variance request on a case-by-case basis. Other than the standard contracts for each of the three caucuses, there is now a National Low Budget agreement between the International and specific producers. This agreement is also posted on the website. It is important for all members to familiarize themselves with their contract. Members need a clear understanding of their rights and obligations. There are different minimum rates and fringes for each tier and caucus. The constitution of the Local, the contracts and their summaries are all posted on the Local’s website. If you want to help decide what is in the contract, tell us your ideas or find out how to become part of the contract committee. What can I do as a member to help Local 411? Get involved! You are the union. The success of our union in your workplace will depend on your active participation in the day-to-day functioning of the Local. Attend meetings. Without your participation, your union can become stagnant and ineffective. Pay attention to the issues affecting your union and participate in solving problems by putting forth suggestions and taking part in solutions. Exercise your vote. Participate in your union elections by voting for your union representatives or run for a position yourself. Put forth contract suggestions and partake in contract ratifications. Vote on policy changes and union procedures. Don’t let your right to vote be wasted. Extend the benefits of unionization to non-members. Encourage and assist them in joining. Eliminating low-wage competition, organizing new workplaces and improving the wages and conditions of other workers, also benefits you and your fellow workers. An informed union is a strong union. When members can’t attend union meetings, inform them about union business and actions that took place at the meetings and the impact it may have on their working lives and membership. Be informed, get active, and stay involved. Local 411 is only as strong as its members!